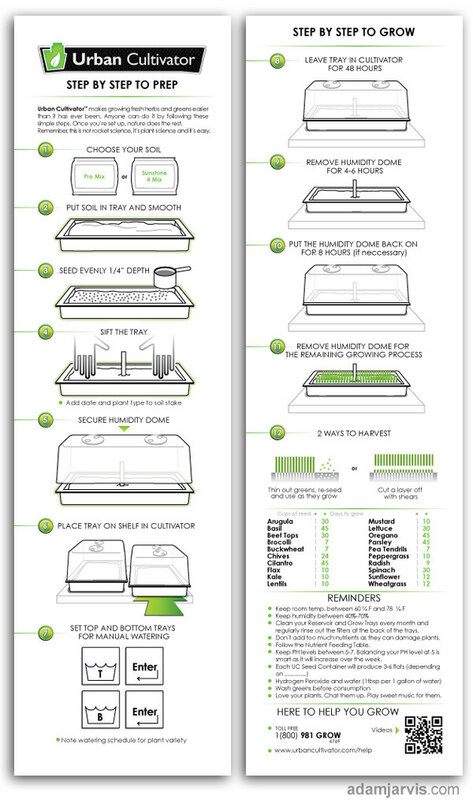 Instructions on how to operate a unique high-end, herb garden appliance. The Urban Cultivator allows you to grow a long list of herbs, micro-greens, flowers and veggies in a completely automated indoor growing appliance. Watering and light cycles are controlled by an intuitive computer interface so your harvest is perfect. This series of instructional illustrations were designed to show owners how to properly operate the device.